Grilled Steak Street Tacos are bursting with flavor. 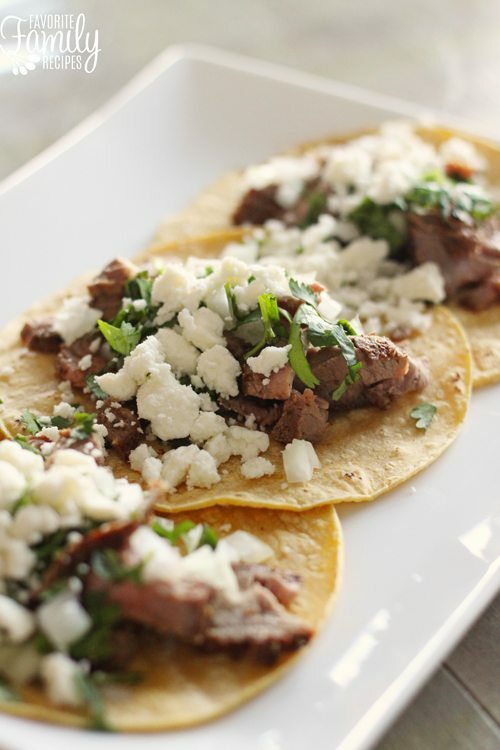 Tender steak combined with simple ingredients wrapped in corn or flour tortillas. Taco Tuesday can’t come soon enough! Grilled Steak Street Tacos are my go-to recipe when taco cravings hit. I could probably eat about 30 of these steak street tacos in one sitting. They are SO delicious! The main difference between street tacos and your typical taco is SIZE. Street tacos are a bit smaller than regular tacos. You are supposed to be able to easily hold one in your hand and eat it on the go, thus the name “street tacos”. They are versatile and can be made MANY different ways with MANY different fillings. In addition to tender grilled steak, you could switch out the meat to just about anything! Grilled chicken, pulled pork, leftover roast beef, tilapia, even ground beef! Same goes for the cheese. If you can’t find Cotija cheese, try feta, crumbled goat cheese, shredded cheddar or whatever you have on hand. The toughest thing to find at the store for street tacos is the tortillas. I have seen Mission brand street taco-size flour tortilla shells at my grocery store. They are so cute and tiny! If you aren’t able to find actual street-taco tortillas, that is totally okay. Just get the smallest tortilla shells you can find. 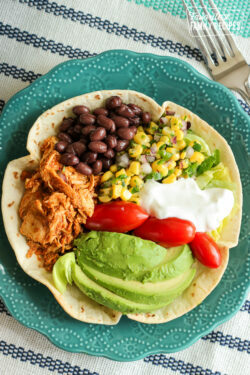 If you are really wanting to get the SMALL size but can’t find them at your grocery store you can get large tortillas and cut them into smaller tortillas using a large cookie cutter. Technically there is no actual size requirement when it comes to street tacos, you just have to be able to eat them easily with one hand. Chipotle’s Crispy Chicken Tacos: If you like Chipotle, you are going to LOVE these chicken tacos. They taste just like Chipotle’s chicken tacos! 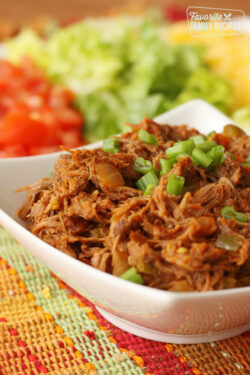 Kalua Pork Tacos with Mango Salsa: If you are a fan of sweet and savory, these tacos are for you. Such a bright, island-y flavor. Grilled Mahi Mahi Tacos: These Mahi Mahi tacos are everything you could ever want in a fish taco. Skip the fried fish tacos and give these a try! You won’t be disappointed! 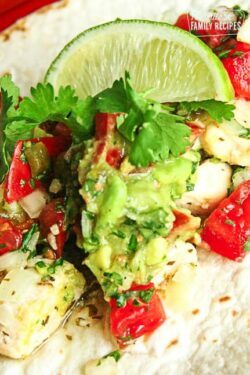 Chicken Lime Tacos: The zesty lime flavor in these tacos are out of this world! You are going to love them! Kristen’s Shrimp Tacos: These shrimp tacos are some of the easiest tacos you will every make. They only take minutes to prepare and they are AMAZING! Grilled Steak Street Tacos are bursting with flavor. Tender steak combined with simple ingredients wrapped in corn or flour tortillas. Taco Tuesday can't come soon enough! How do you cook the corn tortilla? You can air fry them, fastest way I have found. You don’t need to dip them in oil– you can just heat them on an un-oiled pan to soften them. Do it on medium-high heat until it get soft and pliable (maybe like 6-10 seconds on each side). Hope this helps! What cheese can be substituted for cortina? I’ve been to 3 stores and none of them carry it. You can use Feta cheese instead of Cotija. 🙂 Hope this helps! a must make! I used this recipe for Salsa verde to put on top and it was SO good. So glad you liked these street tacos! 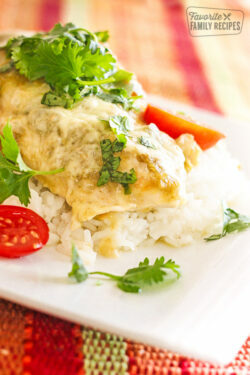 We will have to try this recipe for salsa verde, it sounds delicious!